Home / Bedding and duvets / Bedding Buying Guide / Is anti-allergy bedding available? And how does it prevent my symptoms? Is anti-allergy bedding available? And how does it prevent my symptoms? Dust mites, fleas, and other parasitic insects are just some of the many culprits that cause an allergic reaction at home. Depending on the environment and location, these pests can cause a person to suffer an allergic reaction. If you don’t have pets at home, allergy sufferers will find that the main culprit are the faeces that the dust mites excrete. The insect poop is what triggers an allergic reaction in those who are in the room. Not only are insects and dust mites the only ones that pose a threat to everyone’s health, the mould and mildew accumulated in the bedding through time can cause you to have allergy problems in the future. The moisture accumulated in the mattress that comes from perspiration creates an inviting environment for dust mites to settle in. Even if allergies are not really much of a problem for you, this is also a matter of good hygiene, sanitation and sickness prevention. Having the right mattress to use at home is crucial to your over-all health and wellness. 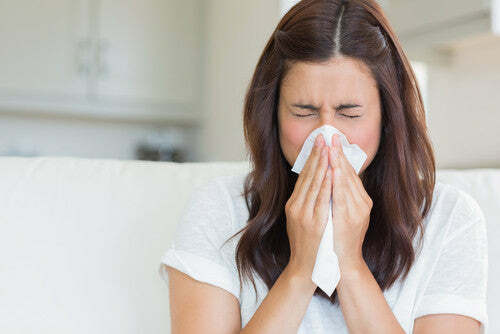 What’s the best type of mattress to use if you are a high allergy sufferer? If you are prone to allergic reactions due to dust mites, latex mattresses without coils or springs and memory foam mattresses are your best friend. Coil and spring mattresses are considered to be the worst choices if you have high allergic reactions to dust, because the inner spring system of these beddings serves as the culturing ground for dust mite faeces and dead skin cells to accumulate. Also, moulds and mildew seem to find these mattresses favourable as well because of the humidity caused by the body heat as it emits on the mattress. This is the main reason most of these mattresses weigh up to 10x heavier than its original weight after about a decade of use. Give your room and your health the rightful attention it deserves by buying only hypo allergenic mattresses. Choose from the wide number of hypo allergenic mattress brands that we have. Hypo allergenic mattresses have man-made fillings and natural fillings known as organic latex mattresses. These latex materials contain natural hypo allergenic properties, allowing the material to breathe better keeping the mattress dry most of the time. This prevents dust mites, mildew and mold from infesting your mattress. In addition, latex contains anti-microbial properties, which keeps your bed clean and sanitised. These mattresses address your concerns about your health and addresses the essential need for getting quality sleep. You can choose from the number of hypo allergenic mattresses available here at Terry’s Fabrics. We have a wide variety of hypo allergenic brands that come in all sizes. It doesn’t have to be an expensive one, you’re sure to find one that perfectly fits your budget. Whether you need a firm or a soft type of mattress, you’ll be sure to find one that fits what you need and want – take note that all of them are hypo allergenic! Make sure to invest in the right type of mattress and you’re on your way to having a sound and healthy and quality sleep.